What is the legacy GERAN/UTRAN Architecture requiring the UE to support NMO-1, 2 or 3? How can ISR help in reducing the Routing and Tracking Area Updates? How could the Paging Success Rate be improved with LAC/RAC Harmonization in GERAN/UTRAN? What are the differences between Network Operation Modes in GERAN/UTRAN and UE Operation modes in EPS? What are the advantages for subscriber and operator when the UE performs prioritized Cell Reselection compared to ordinary offset based Reselection? 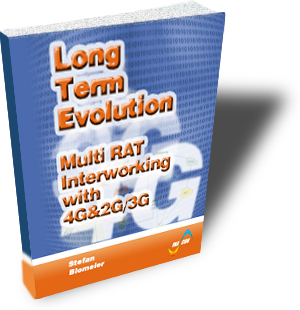 What is the difference between dedicated and common prioritizes for Inter Frequency and Inter-RAT's neighbors? Is SMS in roaming situations still supported in EPS via SGs-interface? And how does SMS over IMS work? How many PDP Contexts should a GERAN/UTRAN network support in order to compete with the number of possible EPS Bearers in LTE/SAE? This trainings enables Operators and Vendors to solve the interworking problems between the newly defined E-UTRAN and the existing 2G and 3G Radio Access Networks.